This device restricts themovement of the thumb and provides support to the wrist via the internal aluminum bar. 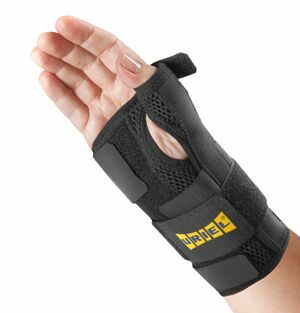 Useful for the treatmentof sprained or strainedwrists and thumbs andforlocal inflammation. Ithas an adjustablethumb strap and fitseither hand.